Can You Get Mods in FIFA 19? 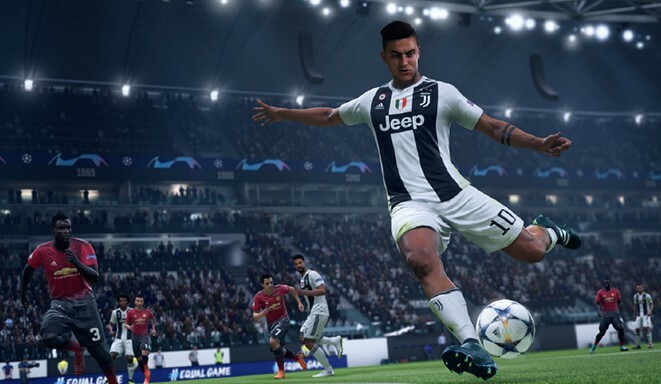 FIFA 19 might be chock-full of content and game modes, but adding a few more to spice up the experience certainly wouldn’t hurt. From adding more teams or modifying player stats to drastically alter the rules and mechanics of some game modes, mods can do wonders for any sports title. The question is, can you get them on your console of choice in FIFA 19? As is the norm for console games, FIFA 19 has no mod support on Sony’s PS4 or Microsoft’s Xbox One. If you prefer to game on the Nintendo Switch, you shouldn’t get your hopes up anytime soon. Previous games in the series, however, saw a few mods pop up on the PC version, and the same will likely happen for FIFA 19. A few notable ones that released for FIFA 18 include a Career mode mod that greatly improved player growth and progression, a variety of Champions League ones with diverse teams, new clubs, and much more. It’s worth noting that EA Sports themselves don’t support the mods that released for the PC versions. Additionally, using them during online play is not possible. Simply put, you can only enjoy them while playing offline matches. It’s worth noting that while mods strive to provide players with a more enjoyable gaming experience, you’ll encounter a few ones that are extremely buggy, especially those that are still in their first few iterations. Because of this, it’s best that you proceed with caution before using them. Despite the hurdles that you’ll face when using mods, using the right ones will undeniably provide you with you an enjoyable offline gaming experience. That’s everything you need to know about mods for FIFA 19. For more tips and tricks on the game, you can check our extensive FIFA 19 wiki.